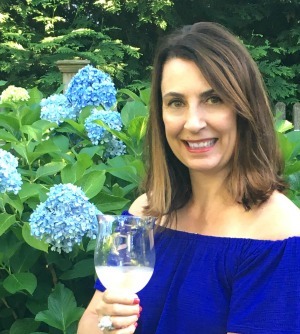 I’m on a mission to declutter (have you joined my Conquer Clutter Challenge)? But that doesn’t mean I’m going to pass up amazing finds when I run across them! 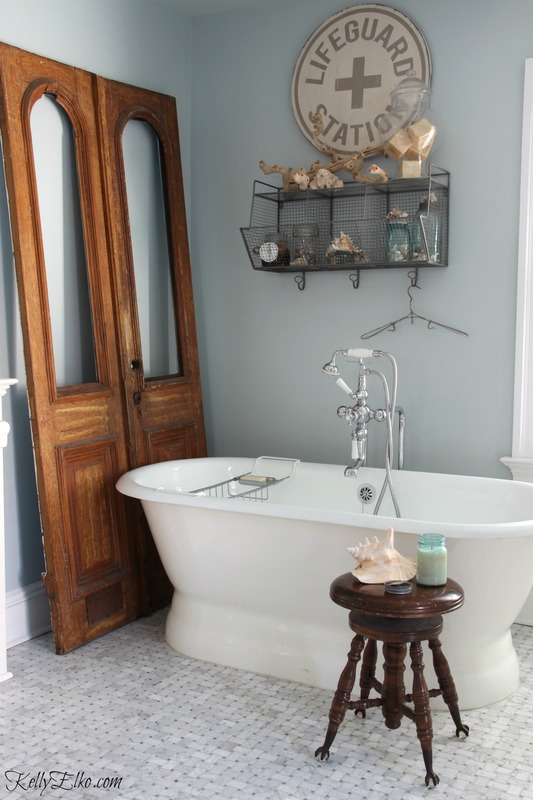 these antique arched doors from an old brownstone are full of time worn character. I plan to add mirrors and hang them on this wall so I can stare at them when Calgon is taking me away. Maybe I’ll add one of my antique glass doorknobs to give it some zing. Bathrooms can tend to look cold with all the tile and reflective surfaces so adding wood not only gives it personality but it also warms up the room. Open shelves add interest and I can display favorite things like shells, coral and a big piece of driftwood I found at HomeGoods. I will be selling the old ladder that once leaned on this wall trying to keep with my vow of one thing in one thing out. 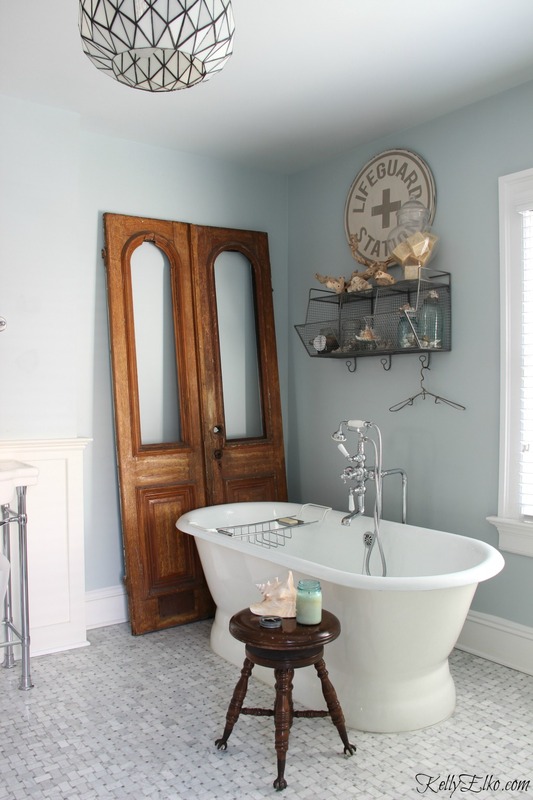 What do you think of these doors? Would you have scooped them up too? These doors are great! I would buy them, but I already have a bunch of antique doors hanging around here…so I guess it would be foolhardy bringing them home. They look awesome, though! She had more doors – I had to control myself! Wow! I want those doors!! I have an arched window that I faux painted the glass to look like antique mirror with looking glass spray paint, vinegar and water. Love it because it’s a soft reflection. Great find! Jealous! But happy you landed such a treasure! Thanks Mary – they are definitely a treasure! Love the doors, great find, so much character. 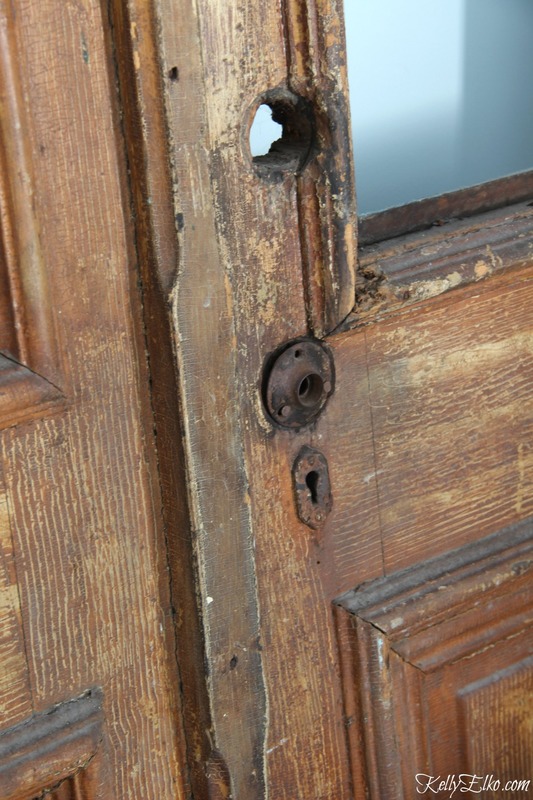 Thanks Laura – oh the stories those doors could tell! Those doors are fabulous!!! They look amazing in the bathroom! Thanks Shirley – now to let go of all the other stuff! I love the doors! One problem for me would be getting rid of the ladder. It doesn’t take up much space and would make a lovely rack for storing and displaying old tablecloths or old Indian blankets??? Yes, you guessed it, I have a lot of stuff! Wanda – I have soooo much stuff and can’t keep it all (unfortunately)! I’ve had that ladder for almost 15 years and I’m ready to let it go! Although I do love the idea of using it as a blanket display! I love that idea – my pantry is a wall of cabinets in my kitchen or I would do the same! I love your door. I can’t wait to see the mirror in it. I also love your ceiling lamp. It’s really different. I like being different. You done good on your find. Thanks Mary – lighting is my absolute favorite thing! Those doors are gorgeous. I definitely think you should add the glass doorknob. Can’t wait to see them with mirrors in them. 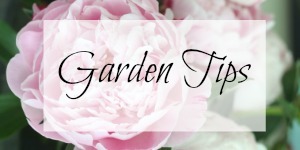 Thanks Hope – I salvaged lots of old doorknobs when I renovated my house! 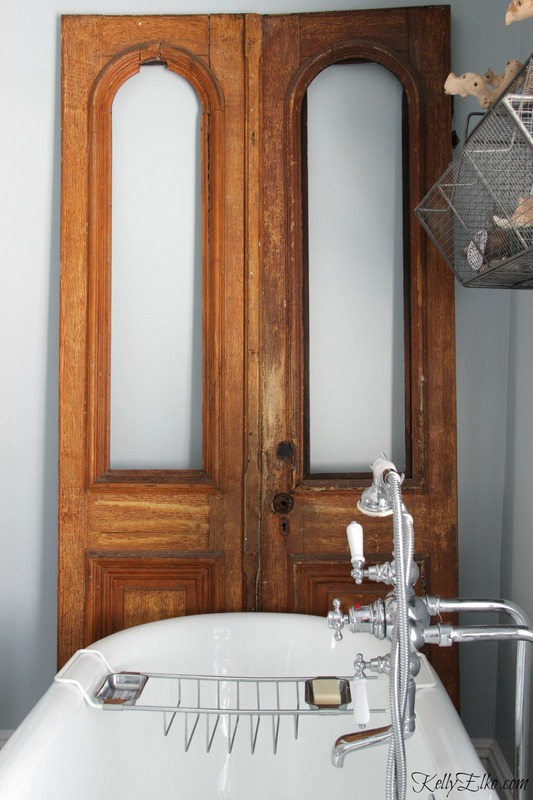 I am swooning, what beautiful old doors. I will be waiting to see the after effect. Thanks Marlene – I love them! 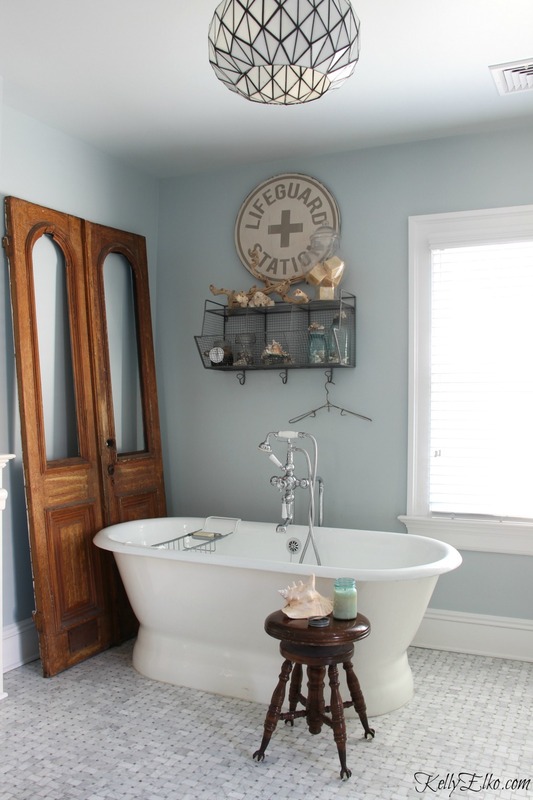 LOVE the doors….. especially with the arched window frames……. you are so right about the wood warming up the room!!! Heck yes! I would have scooped them up! They are fabulous! Can’t wait to see them on the wall! Can’t wait to ask my hubby to hang them! Love the doors, I mean really. What a great find! I love old windows too – I have one very small stained glass window but yours sound gorgeous! I love, love love how everything came together so beautifully. Nice tub to come home to a soaking relaxing bath.